CNA meetings occur on the 2nd Thursday of each month at 6:00PM. CNA Board Meetings occur on the 3rd Thursday each month and are open to the public. Email the board for more information info@coledenver.com. Currently looking for a new leader. Email info@coledenver.com for more information. 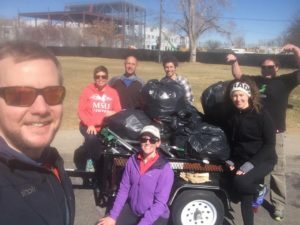 Every month a group of volunteers get together and clean up litter throughout the neighborhood through the Keep Denver Beautiful program. The city provides trash bags and grabbers. Come out and meet your neighbors and join in on the fun. Keeping our environment clean takes the cooperation of everyone in the community. 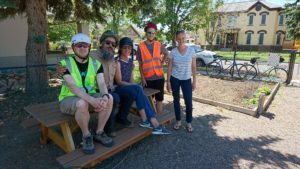 You can help make a difference with RTD’s Adopt-A-Stop program. 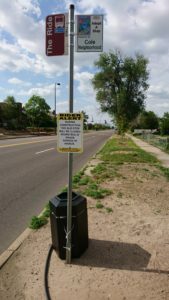 City will provide you with a garbage can, garbage bags, and personalized sign in exchange for picking up the stop once per week and taking the trash out when it gets full. Board At-Large is the delegate for the Cole RNO at the INC meetings. Don’t see a group here that you want to see? Contact us and we’ll help get it started and added.